Obesity and obesity related illness accounts for an enormous healthcare expenditure in the US today–approaching 150 billion dollars annually. In an era of healthcare reform and cost containment, preventative medicine is essential to success. Rather than rearranging networks, separating doctors from patients and limiting choice, our government may be more effective in reducing healthcare costs by focusing on slimming waistlines throughout the US. According to a recent study in the Journal of the American Medical Association, nearly 30% of adults and 17% of children are classified as obese. According to the Centers for Disease Control, obesity in children has more than doubled in children and quadrupled in adolescents in the last 30 years. Obesity rates in adults have remained constant–if not increased–over the study period. In fact, in women over age 60, obesity rates have increased from 31 to 38%. It is clear that obesity directly results in the development of diabetes, heart disease and other potentially debilitating chronic illnesses. Data from previous studies clearly identifies habits developed in childhood as a primary determinant of obesity as an adult. In fact, childhood obesity is almost always associated with obesity and health problems during adulthood. This week, a study published in Pediatrics provided a specific cost analysis of childhood obesity and found that each obese child results in an individual $19,000 healthcare cost increase as compared to a child of normal weight. Moreover, when the researchers multiplied the &19,000 figure by the number of 10 year olds who were estimated to be obese in the US today, they calculated the total lifetime healthcare expenditure in this age group alone to be more than 14 billion dollars. The adverse effects and negative impacts of obesity on our children stretch far beyond the staggering dollar figures that are illustrated in this most recent study. Obese children are more likely to have risk factors for heart disease and are at increased risk for certain types of cancers. Pre-diabetes is common in obese children and many develop Type 2 diabetes before adulthood. Children with weight problems are more likely to suffer from depression and other mental health disorders including poor self esteem. Development of such significant medical problems at an early age can prevent a child from truly enjoying the process of growing up and can limit choices and opportunities later in life. Children of obese parents are far more likely to be obese themselves. America is becoming a culture of sedentary adults (and now children)–increased calorie intake and diminished calorie output. Our children model behaviors that they witness in adults and other mentors. Modeling healthy habits such as regular physical activity and healthy eating can directly impact children and significantly reduce the chances of becoming obese. Habits developed during childhood become part of our daily routine and are incorporated into our system of values and become second nature. If we, as adults, put a priority on diet and exercise early in life, we make it much easier for our children to develop and maintain a healthy lifestyle well into adulthood. This most recent study should serve as a call to action–Americans are fat and are getting fatter. The time to intervene is now. We must set better examples for our children. 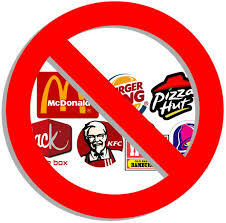 In a world full of fast food and calorie dense meal choices, we must do a better job demonstrating responsible lifestyle choices. Fill the house with fruits and healthy snacks and avoid fast food meals whenever possible. Help children learn to choose wisely. Parents must encourage more outdoor activities, regular exercise and limit screen time. As healthcare costs continue to rise, we must focus on prevention. Cardiovascular disease, diabetes, and high blood pressure are significant contributors to our overall healthcare costs and ALL of these diseases are more likely to occur in those who are obese. As a nation, we must become more health conscious and make daily exercise and healthy eating part of our culture–only then will we be able to impact obesity and set an example for change. Only then will we begin to reverse the obesity epidemic of the last 30 years and improve the lives of our children and the generations to come. Tomorrow is Thanksgiving Day. It is a time in the US where we reflect on the blessings we have had in the previous year and gather together to celebrate family, friends and football. First declared a holiday by President Abraham Lincoln in 1863, Thanksgiving Day tradition centers around food and decadent culinary indulgences. In 2012, over 280 million turkeys (or about 7 billion pounds) have been sold for Thanksgiving amounting to $3 billion dollars of sales. 91% of Americans eat turkey on Thanksgiving. The US produced 750 million pounds of cranberries this year and nearly 20% of all cranberries consumed in the US are eaten on Thanksgiving Day. 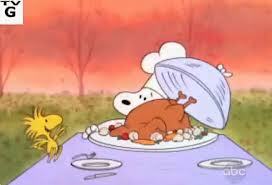 The average American will consume over 5000 calories in one Thanksgiving meal. Most Americans will gain 1-5 pounds during the holiday and many are never able to get these pounds back off. Over the years, this excess weight accumulates and contributes to the obesity epidemic in the US today. Most diners do not engage in any physical activity either before or after the meal. A single serving of turkey or stuffing or pie can contain 500 calories each. Many families celebrate the meal with wine and other alcoholic beverages as well. In fact, data from the CDC shows that more alcohol is consumed in the US on the night before Thanksgiving than any other holiday (including New Years Eve, St Patrick’s Day or Christmas). Alcohol contains lots of “empty calories” and can significantly contribute to holiday weight gain. Biologically, eating a decadent meal such as a typical American Thanksgiving Day feast has been shown to create measurable changes in blood levels of triglycerides (fats) and other hormones. In addition, indulgent meals have also been shown to increase the stiffness of arteries throughout the body (such as the coronary arteries). These biologic changes can put patients already at risk for heart attack and stroke at even greater risk for these events. Luckily, exercise, even modest amounts, has been shown to quickly reverse these detrimental changes. What strategies can we employ in order to proactively combat the holiday weight gain? 1. Eat a hearty breakfast. Many people will avoid eating all day long and focus on one decadent holiday meal. By eating breakfast, you are able to temper your appetite and avoid overeating at the Thanksgiving meal. In addition, the chef of the home should begin cooking the meal just after breakfast. This reduces the nibbling and “sampling” that goes on during the cooking process. 2. Serve the holiday meal in the middle of the day. By serving the large meal at midday, you are able to promote and create time for physical activity both before and after eating. Eating later in the day can result in slower metabolism and accumulation of fat. In addition, by eating earlier in the day, you are less likely to eat multiple large meals in the same day. 3. Portion control and a strategic approach to the buffet. When approaching a large holiday meal, focus on choosing and eating the healthier foods first. Fill up with vegetables and other more nutritious items. Certainly, sample all of the holiday goodies but limit portion sizes when you do. Avoid seconds–it is better to save the second plate for leftovers the next day. 4. Drink lots of water. It is important to remain hydrated on Thanksgiving Day. Drinking lots of water helps with the metabolism of your meal and also gives you a “full” feeling throughout the day so that you do not gorge and “pig out” when the time for the holiday meal arrives. 5. Start a new family tradition. Incorporate exercise into your Thanksgiving Day. Take a walk as a family before the meal and consider a second walk after the meal BEFORE sitting down for dessert. Often, by exercising, we are able to reduce our appetite and curb hunger prior to the meal and dessert. meal and the company of family and friends. However, by incorporating healthy eating strategies and a little family exercise into the festivities we can all avoid the unwanted pounds and unneeded calories.